Mirrored sunnies: unbranded. Floral maxi dress: Novel Mice. Denim vest: Am. Ankle boots: Belle. Love that vest & dress combo! Excited to have stumbled on your blog! What a fabulous look! 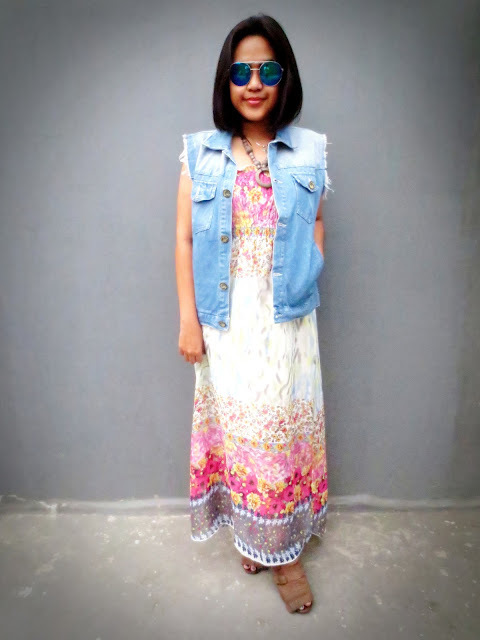 I really like your dress :) Your sunglasses go so perfectly with this outfit. 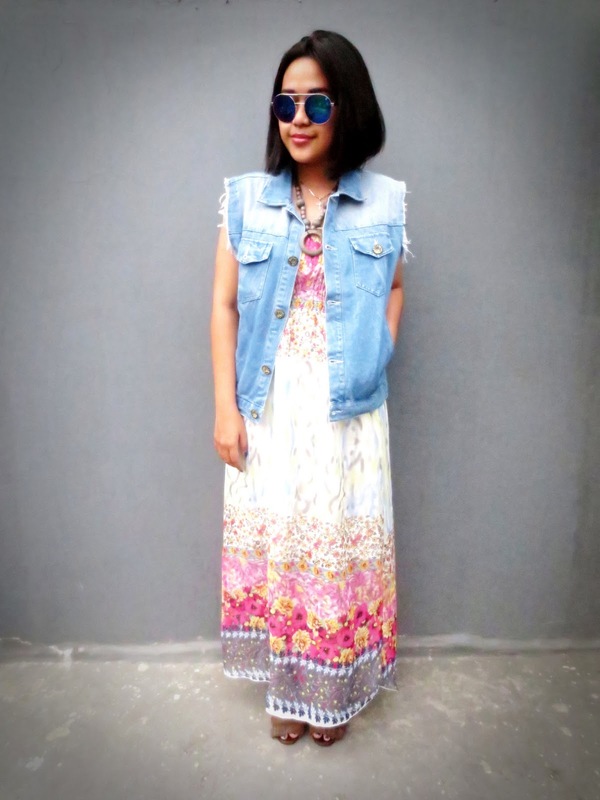 I adore the pairing of the dress and denim- so pretty! love your sense of style. you know what fashion is about!! such a fresh and bohemian outfit, love it! great blog! Im following u honey! This is such a cute outfit, I love the floral maxi - so pretty! Your blog is great too, I'm going back to check out past posts now. such a great look!!! love the denim with the dress! 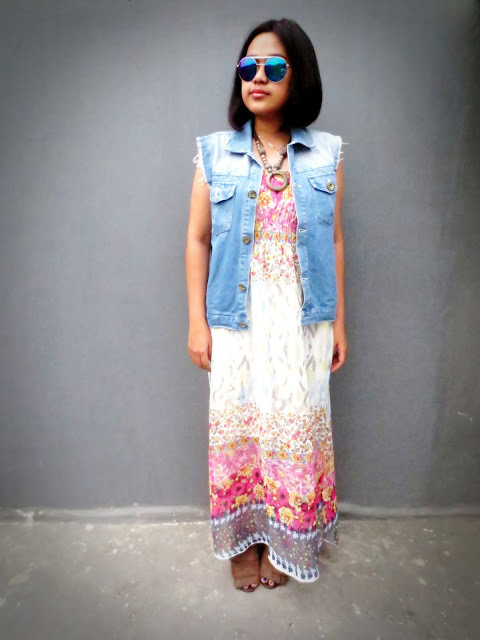 you look lovely in this maxi with denim vest. Those sunnies are so cool. 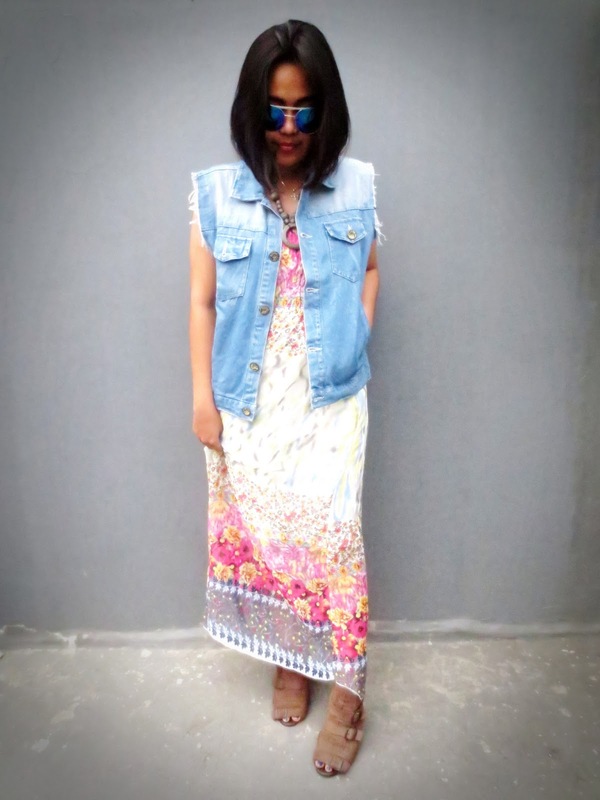 Awesome maxi dress and reflective sunnies! 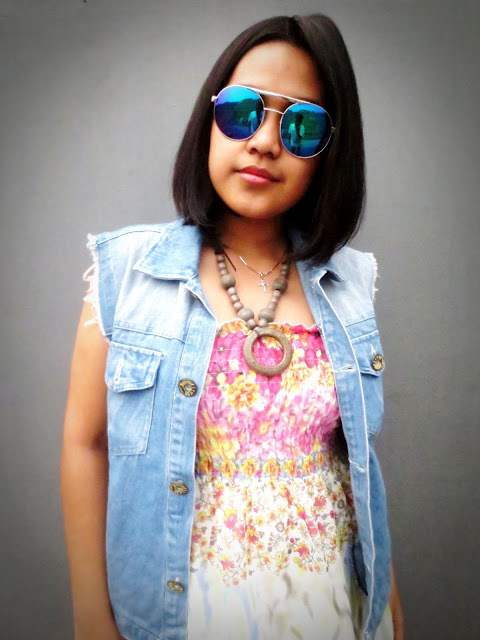 This outfit is SO cool <3 You look great !! Love the denim vest and reflective shades. Lovely dress! You're rockin' it! 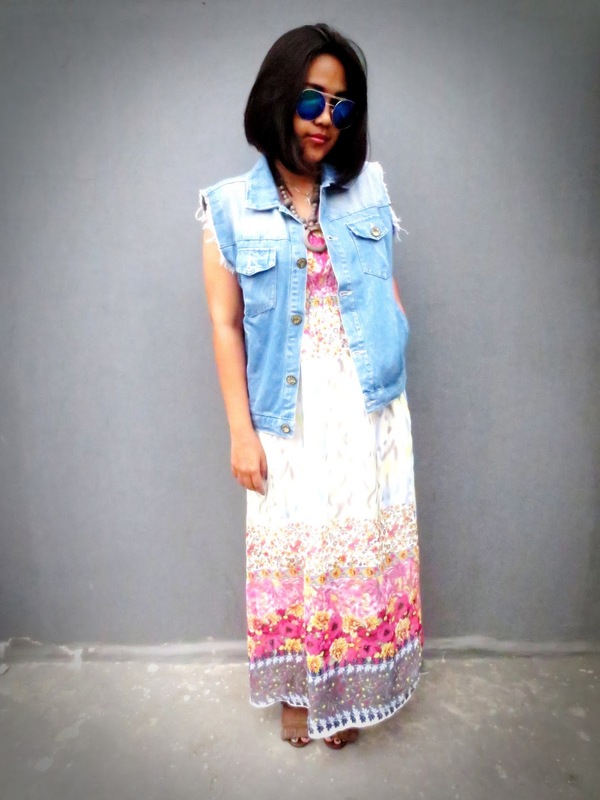 I love your maxi dress, it suits you very well and the denim vest adds that casual vibe to it! Love that dress and it looks vab with the cut-off vest. 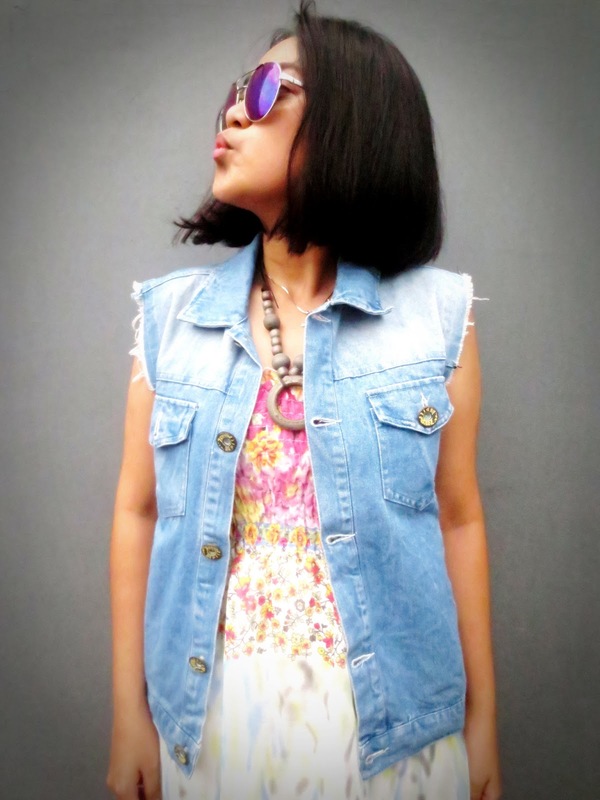 Denim vests are so in style now! It looks perfect with the maxi dress! Thank you so much for visiting my blog:)! Would you like to follow each other on GFC & Bloglovin? Just leave a comment on my blog and let me know. 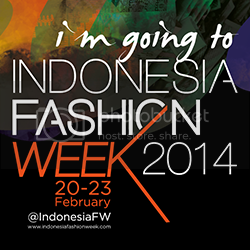 Thanks:)! I love this vest and dress combo!